We are conveniently located @ 675 Memorial Ave in West Springfield, also known as route 147, we are just off of I-5 and Exit 7 off 91 south. 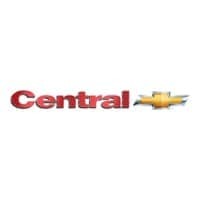 Central Chevrolet is a mile from the Big E and also from the basketball Hall of Fame. Continue until you see a white and blue ENTRANCE sign… once you enter the parking lot keep going straight until you see a huge SALES sign signaling you to go left… swing around and park right next to the door! If you feel lost in our lot, ask someone for assistance! !